Facebook corrected a strange glitch last week during which the phrase, “Everyone will know,” was temporarily banned. This was a mistake with our spam filter and our engineers have resolved the issue. We’re constantly updating the rules used by our spam-fighting engine, and this particular phrase erroneously got caught in the mix. According to HuffPost, several Facebook users complained late last week of being unable to post “everyone will know,” in status updates and comments, with the issue being brought up on forums such as Question.com and Reddit. 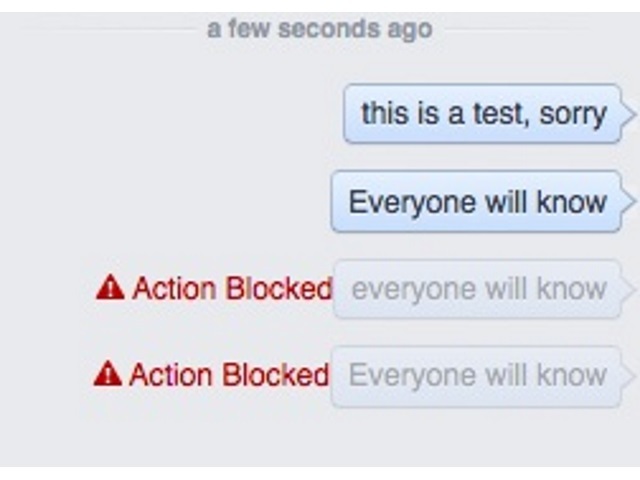 Readers: Why do you think “everyone will know” was mistakenly blocked by Facebook for a short time period? Screenshots courtesy of The Huffington Post.